We have put this website together to provide a portal for parents to access information on all things relating to Child Safety. It can be hard to know where to start when you are looking for help with educating your child on safety, we aim to provide general information and links to websites and organisations that we feel provide valuable tools for empowering your child to make the right safety choices. We believe it is better for a child to develop an inherent safety barometer that allows them to make the best safety choice rather than them having to rote learn rules and regulations. 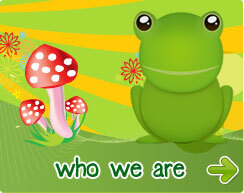 It is for this reason that we have begun writing our very own child safety ebooks. These books are aimed at the 3-7 year age groups and with bright illustrations and easy to read rhymes they step your child through a range of common scenarios that they may encounter in their everyday lives and allow them to choose the best course of action. 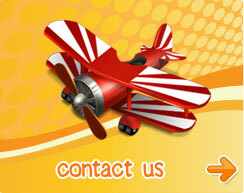 TicTocTrack® a GPS watch for children. 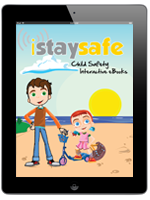 I Stay Safe Safety eBooks – Available on the App Store! Since we had such a positive response to our first App, we decided to create a premium version offering more interactivity, functionality and games. We are happy to say that the new version is now available to download from the App Store. The first issue is still free and then each addition in the series can be downloaded for $4.49 each. The issues cover a range of topics from Beach Safety through to Bullying. So download the App to make sure you stay up to date with our latest books. Click on the title to find out more and see excerpts from the book.